Owners of Morris Minors are among the most prolific drug and drink drivers, a new study suggests. In a study of 139 makes of car and six million insurance quotes, the quintessentially English vehicle was, proportionately, among the worst offenders over the past year. Four out every 1000 owners of the distinctive car had a drink or drug driving conviction over the past year, the survey by MoneySupermarket found. Although it wont beat it for speed, the Minor finished above much flashier makes like Ferrari and Lamborghini. This possibly owes to the caution the driver’s of these super cars take with their much more expensive models. Topping the list was Panther cars, although only 1,500 were ever made in its Surrey HQ. A total of 33% of the rare car’s driver’s were convicted of being over the influence in one year. Only nine models were produced between 1972 and 1990, with some selling for up to £100,000. 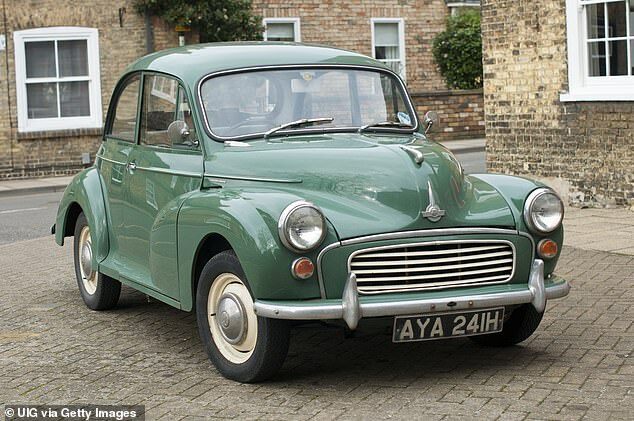 The Minor was the first British car to achieve sales of more than 1m, and the cars regularly sell for up to £20,000. More than 1.6m of the motors – considered a classic in automotive design and ‘typifying Englishness’ – were manufactured between 1948 and 1972. With a top speed of just 63mph, and taking more than 30 seconds to get to 60mph, there are just over 8,000 Morris Minors on UK roads now. Drivers of Indian-made Mahindra cars were in second, spot with 13 out of every 1,000 owners caught high or drunk at the wheel, with Datsun drivers in third sport, with 7 out of every 1,000 drivers. Among the car makes in which no owners at all had convictions for drink or drug driving in the past year included owners of Lotus sports cars, Daimlers, DeLoreans, Hillman Imps and Hummers. 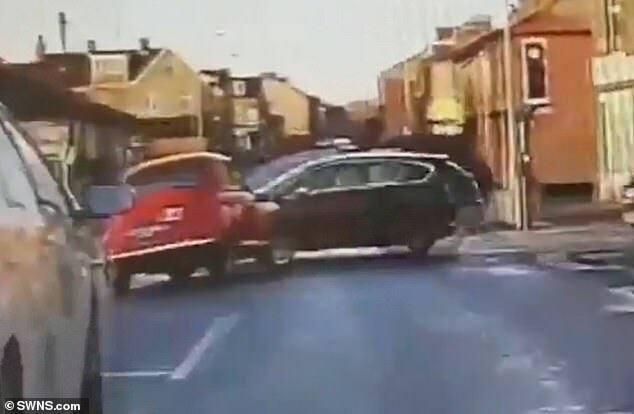 Morris Minor driver Chris Edmonds, 47, of Harrow, north west London, said he had ‘no idea’ drivers of the classic motors were such a lawless group. He said: ‘I had no idea I was part of a band of such lawless drivers! ‘I’ve never taken mine on the motorway as it struggles to get past 55mph and I’ve certainly never driven drunk or high on drugs. Emma Garland, data scientist at MoneySuperMarket, said today (Thurs): ‘Our latest report shows that we should never judge a book by its cover. ‘Owners of classic Morris and MG motors are within the top ten of the highest drink and drug driving convictions, whereas flashier car makes including Ferraris, Lamborghinis and Porsches come in far lower on the list. ‘There are a few possible reasons for this, one being that those who own expensive supercars may be more cautious given their high value. ‘It goes to show that you need to keep an eye on the road this festive season.